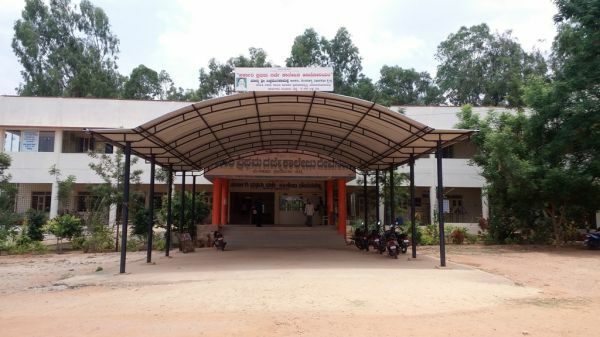 Government First Grade College Devanahalli was founded by the Department of collegiate Education, Government of Karnataka in the year 1984, in compliance with the policy of the government to provide higher educational opportunities for backward areas of the state. In 1984, the village of devanahalli and the surrounding area presented a scene of stark poverty, unemployment and illiteracy. The city of Bangalore which is just 35 KMs from Devanahalli was yet to find its place in the world map as the silicon valley of India. The expansion and rapid development of Bangalore and its emergence as the land of opportunities, specially for employment in India and setting up of International Airport in Devanahalli, has breathed new life of economic activity at Devanahalli and its surrounding villages.This has strategically transformed the outlook of this region and consequently the role of this Higher Educational Institutions. It is to be noted that the majority of the students seeking admission in this college are, students from economically weaker sections of the society, girls from poor families, and belonging to SC, ST and OBC category. This college with exceptionally low fee structure, well qualified staff with good infrastructure and environment, has been a boon for the rural population of this region, who belong to lower income groups in terms of higher education. The Government First Grade College, Devanahalli was assessed and Re-accredited by NAAC in the year 2015 and was awarded B Grade. The college has been serving the rural students for the last 30 years with utmost vigour. Affiliated to the Bangalore University, Bangalore, the college works under the guidelines of the Department of collegiate education, Government of Karnataka. In 1996, the college was shifted to the new premises in the sprawling six acres of land located on Vijayapura main road from its previously rented premises. The college started with B.A. and B.com courses, and presently B.Sc and BBM courses have been added to the curriculum. B.Sc. course was introduced in 2010 and BBM in 2008, keeping in pace with the new trends in education and job opportunities, new subjects and combinations of Journalism (2010), Opt. English (2010) and Opt. Kannada (2011) were introduced. The college aims for the holistic development of the students. Academics, cultural, NSS, sports, Red Cross activities empower the students with multitasking skills. Field visits, surveys, industrial visits, assignments that necessitate internet access are all part of the academics. Students actively participate in university and state level cultural and sports competitions. They are also encouraged to take active part in community services, viz pulse polio immunization programme and AIDS awareness programmes.